Support other Innovation Hub projects and activities on an as-need basis. The candidate will be based in Dar es Salaam, with travel to the field when needed. • Fluency in Microsoft Office and Google (drive and docs) suite. • Ability to communicate effectively at different levels and in Kiswahili and English: from casual startup lingo to professional government communications. • Has gained five years relevant experience in innovation, start up, business or development. The application deadline: 03rd April, 2019. 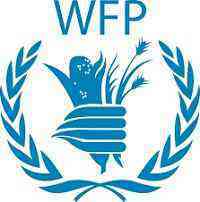 WFP agency standards and guidance: Only short-listed candidates will be contacted. Support designing and building the Field Innovation Hub local innovator support schemes (Mentoring, Micro grants and Connecting). Interface with and support all other innovation hub activities in case interaction with the community is required. Organizing, promoting and supporting to deliver other Innovation activities, such as bootcamps, challenges and events. Education: Advanced University degree in Business, Marketing, Communications, Psychology, Social Sciences or other field relevant to innovation; or First post-high school degree or diploma with additional related work experience and/or trainings/courses. Language: Fluency (level C) in English language and the duty station’s language: Kiswahili.